What Happens When I Cannot Do My Job Even With a Reasonable Accommodation? As I have stated in my previous blogs, in order to be entitled to a Reasonable Accommodation as a Federal Employee you need to be a “Qualified” disabled employee. What does it mean to be a “Qualified” employee? A qualified individual is a person who meets legitimate skill, experience, education, or other requirements of an employment position that s/he holds or seeks, and who can perform the essential functions of the position with or without reasonable accommodation. Practically speaking, that means that even if your Agency offers you a reasonable accommodation and you still cannot effectively perform the essential functions of your position with that accommodation, then you are not qualified for the job and therefore your Federal Agency Employer can legally terminate you. That all sounds like pretty bad news, however, the truth is that Uncle Sam has provided you with a safety net for this exact contingency. Since you are unable to perform the essential functions of your job with or without an accommodation, you are not qualified for your position, however, at the same time you are more than likely unable to provide “useful and efficient service” for at least one year. As luck would have it, this just so happens to be one of the main criteria for Federal Employee Disability Retirement or OPM Disability Retirement eligibility. In other words, if you cannot do your job with or without an accommodation, the federal government has created a safety net called Federal Disability Retirement (not to be confused with Social Security Disability retirement which FERS employees also can apply to receive). 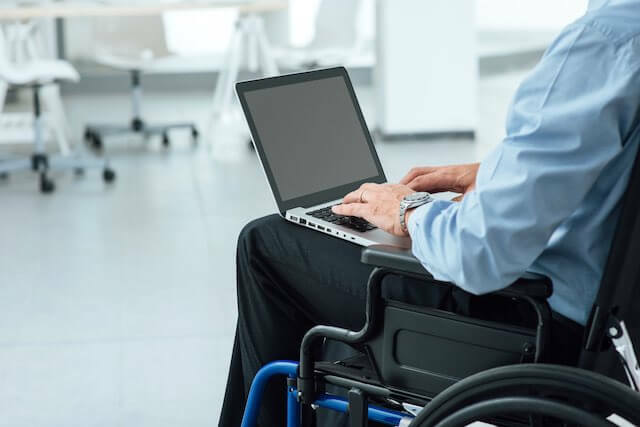 Many times when I counsel disabled federal employees, the discussion revolves around whether or not the employee can truly perform his or her duties even with an accommodation. If s/he can, we will brainstorm what accommodation works best and how to properly request that accommodation from an agency. If not, then the question will become whether or not the employee can get a doctor to support his request for Disability Retirement. If that employee qualifies for OPM Disability Retirement, then I explain that he could potentially receive 60% of his salary for the first year and 40% thereafter until he reaches the age of 62. Once an employee hits age 62, he switches to regular retirement and receives creditable service for all of the time he is on disability towards FERS Retirement. Additionally, employees can receive FEHB Health Benefits and Retirement Benefits that they would have received had they remained employed, and they might even be able to get a part time job and make up to 80% of their previous salary. After that discussion, they usually perk up and ask for help in applying for OPM Disability! « Should DOT Regulate ‘Emotional Support Animals’?